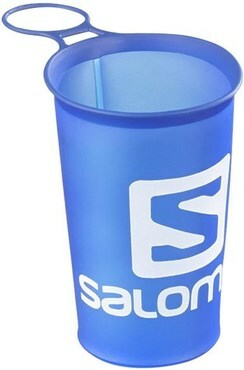 Since the Soft Cup Speed 150ml/5oz goes with you to every race, make it follow the no-bounce rule! This one is soft so you can stow it in a pocket. Or use the loop and clip it for easy access. Easy access: Use the loop to clip it for easy access. Stowable: Stashes easily in a pocket so it’s easy to grab. PVS and Bisphenol-A free: A cup you can feel good about: PVS and Bisphenol-A free.